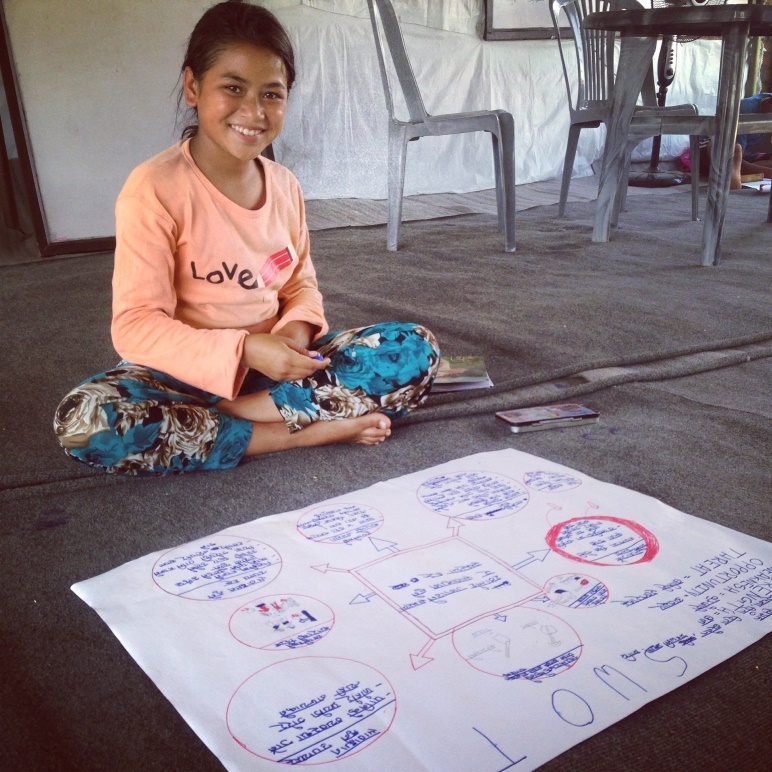 An Early Social Innovator preparing SWOT analysis for her business. Early Social Innovators (ESI), a 15-day program developed by ISAP, empowers children aged between 11 and 18 to solve problems in their community by designing their own entrepreneurial solutions. It challenges the students to maximize Rs.1000 that we invest in each group by implementing a business/ project idea in two weeks. They can choose any innovative business idea, with a purpose to create an impact. This opportunity harnesses the natural creativity and critical thinking skills of children, and benefits society at large with a bottom-up approach by training next generation to become impact driven problem-solvers. We started out ESI to challenge the social stereotype which places a high value only on "mainstream" careers, like doctors and engineers. For a country in a transitioning phase like Nepal, entrepreneurs are especially crucial in building the economy required for development. However, from a very young age, children are passively pressurized to aim for "mainstream" career options. Alongside building the value of entrepreneurs and entrepreneurship and exploring the opportunities it offers, we focused on social entrepreneurship to promote ethical and social value associated with it. Children taking initiative to solve their communal issues have been the greatest achievement of our program. 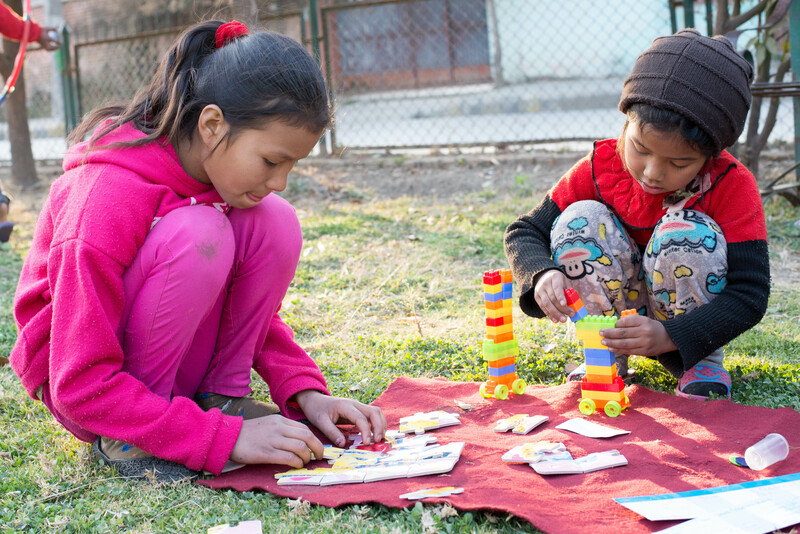 One of the examples is of the students of Mary Ward School who voiced power cuts, the ever-existing problem that plagued Kathmandu for a decade, as a most extremely felt problem. When asked to narrow down the problem to the level that would be addressed by them, they found the lack of alternative source of entertainment other than TV was the problem than the power cuts itself. During brainstorming sessions, they started envisioning a Game Zone that could provide access to games that could not be afforded otherwise. Just In two weekends, they had over 40 visitors who enjoyed puzzles, balls, board games and hula hoop, along with cycling lesson. Students of Mary Ward School enjoying at the Game Zone. 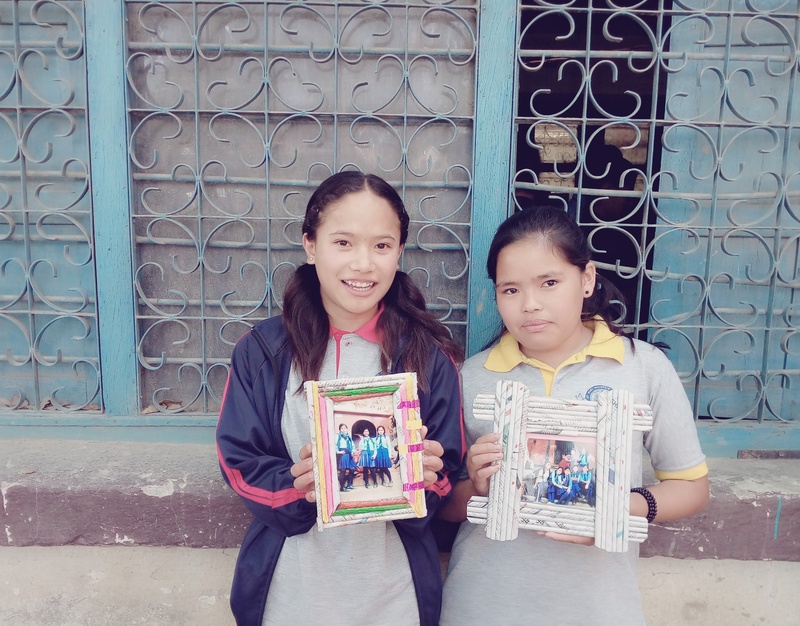 Students of Nandi Secondary School showcasing photo frames made from newspaper waste. Other Early Social Innovators have also been in charge of establishing a library and games room in their schools, starting anti-smoking and cleanliness campaigns, addressing the issue of lack of food facilities and stationery items in their school premises, and so on. Grade 9 students of Nandi Secondary School, for instance, made “Best of Waste” by making varieties of recycled items. The products included photo frames made from newspaper waste, pen holders made from potato chips cans, flower vases made from bottles and so on. One group managed to make a huge profit of almost NRs.3000. Even after the completion of the project, we received very encouraging news that the students from Nandi School set up a stall at an event and sold their products where they found learning about profit calculation very helpful. Since its initiation in 2015, the program has been successfully completed in 15 public schools, 2 private schools as well as in an Internally Displaced People (IDP) camp. Our donors have been national and international government organizations as well as individual donors. One of our biggest funding partners is Peace Winds Japan (PWJ) that has supported us for conducting the program in 10 public schools for the year 2017. Our special focus has been public school as they often lack opportunities to engage in extra curriculum activities which are essential for personal growth.